Snow Day(s) . . .
Vertical whiteout, snowfall carried on a sustained, at times brutal wind, gave fresh perspective on the powers of Earth’s natural processes. Snow season, perhaps, was peaking. I dressed for a cross-country run that allowed me to pass through Riverside Park during the thick of it, the Blizzard of 2015. The next day, songbirds conversed in bright sunshine. 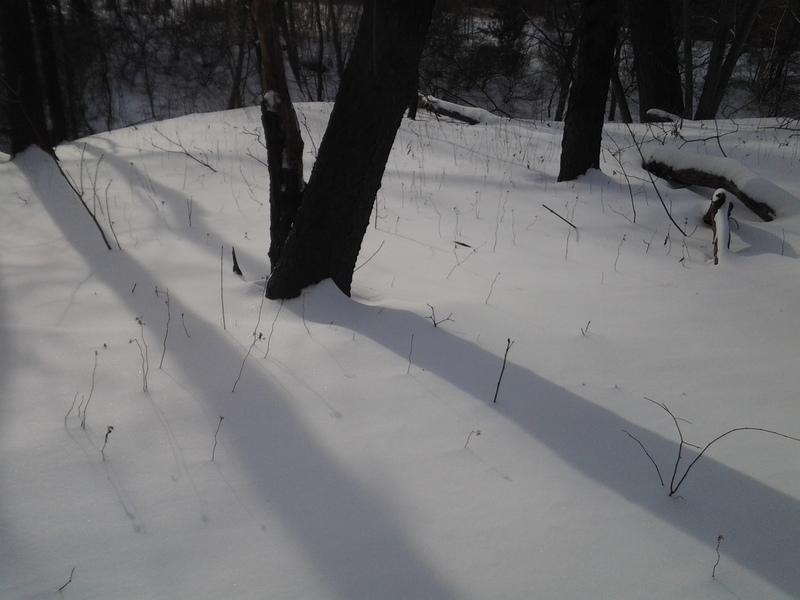 Sky blue and unbroken, breezes still persistent, yet sonorous, graced a day free with time to take a snow hike. The storm, though smaller than predicted, had shut down the city of New York, giving a holiday after the headache. In park, the skeletons of asters, goldenrod, and white snakeroot stood above snow gardens sculpted by wind and what it carries through the trees, often oak leaves. 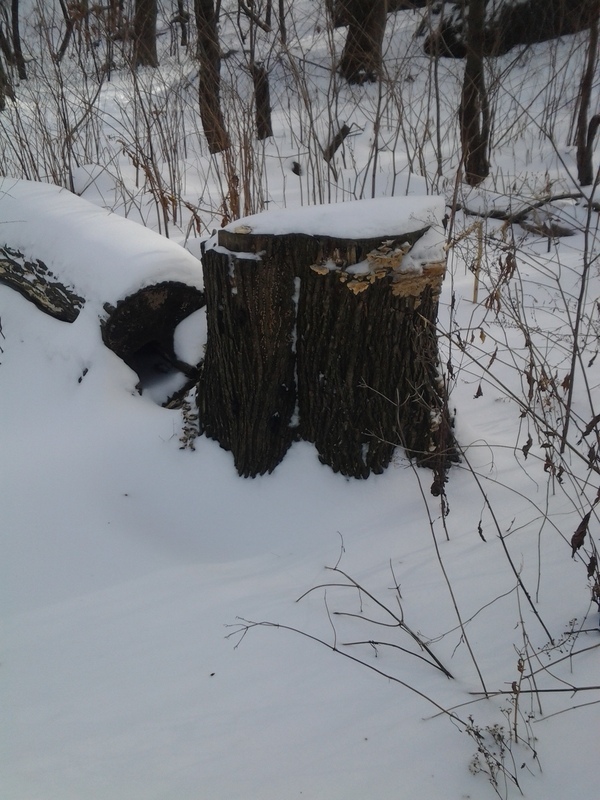 Stumps off to the side and some thicker fallen branches added the brighter tans of bracket fungi. Most colorful were the birds. Song sparrows descended, perched sideways and twisted heads, to forage off the wildflower stems capped by seeds.